Extend the life of your tub and bathroom fixtures with wall tile and bathtub reglazing services from the experts at Glaze-Tec Bathtub Refinishing. Bathtubs take 3 to 4 hours for completion. 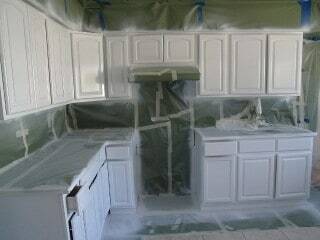 Take your kitchen into the 21st century with kitchen cabinet reglazing services from Glaze-Tec Bathtub Refinishing in Mastic, New York. Take a look at how your bathroom and kitchen surfaces can be transformed within a matter of hours by viewing our gallery page. Add new life to your home and increase its overall value with services from Glaze-Tec Bathtub Refinishing, a bathtub and cabinet refinishing company in Mastic, New York. 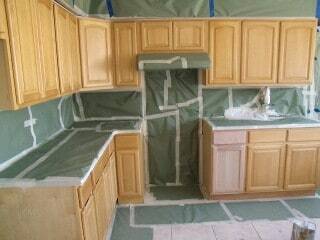 We provide reglazing services at a fraction of the cost of messy, inconvenient replacement and restore fixtures. Our highly skilled technicians have more than 25 years of experience in the industry, and typically complete most projects within a few hours to one day. Additionally, our friendly and knowledgeable customer care staff is always here to help you with planning and scheduling a project or to answer any questions you may have. Contact our bathtub refinishing company in Long Island, New York, to make your home furnishings look new again.